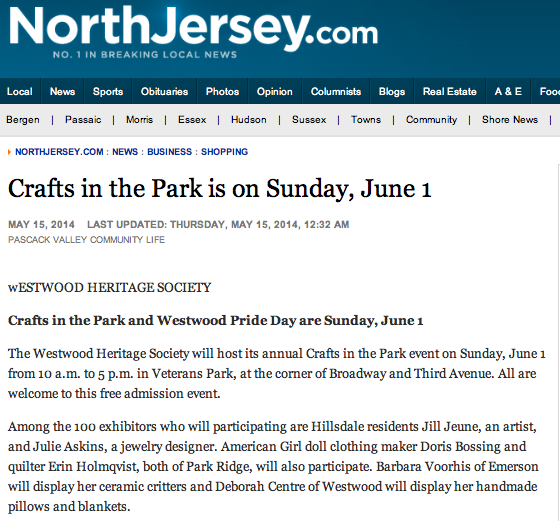 Looking forward to Westwood’s Crafts in the Park show tomorrow, promoted by PJ’s Promotions. The park was being renovated last year so the fall show was cancelled. Hoping for nice weather, nice people, and steady traffic. 🙂 I have to say though, I was more surprised to come across an article about it on NorthJersey.com, and being listed. Today I’m working on tea wallets, table runners and hopefully a baby quilt.